“I can’t imagine a world where I couldn’t enjoy outdoor pleasures whenever I want,” said Mike Good, founder of Together in This. As I listened to Mike’s Podcast on the power of nature, I thought of my mother. Mom taught me to love birds, flowers, trees, and mountains. 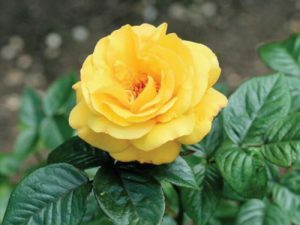 Even in her last days, a yellow rose could catch her attention, inspire her to reach out and touch its tender petals. This simple activity helped boost body and spirit with nature. There’s increasing research that backs up what I observed with my mom. 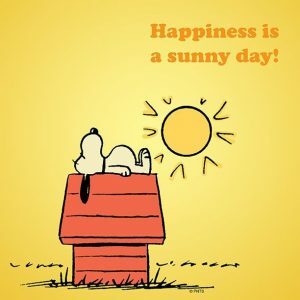 Strolling or wheeling around a courtyard, sitting on a bench underneath an apple tree, observing a bunny nibble clover, watching someone water a tomato plant — all these outdoor events enhance physical and mental well-being, including improving sleep cycles and reducing agitation. Garuth Chalfont, PhD, American Society of Landscape Architects, and author of the book, Dementia Green Care, says, “Nature-oriented activities, such as growing and caring for plants, promote brain neuroplasticity and help us dream, experiment, learn and create. Research shows that nature-based activity is therapeutic and is essentially a form of treatment for dementia symptoms, helping a person remain at home longer.” Garuth is internationally known for his work in designing, building, and researching gardens that benefit people with dementia. Taking a loved one who is living with dementia outdoors can be stressful, but staying cooped up inside is hard on both of you. Here is a bouquet of nature’s benefits, inspiring for both people who are living with dementia and those who care for them. For those who enjoy projects, have tools visible and available. For a woodworker, set out wood and sandpaper. For a frail gardener, have a container of herbs. For those who like to tidy the yard, offer gardening gloves and a bucket to deposit leaves and twigs. Open the curtains and blinds to let in light. In temperate weather, open windows and welcome fresh air and birdsong. 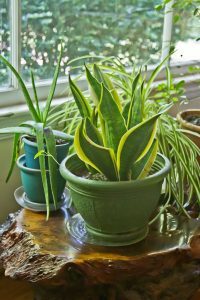 Green up the room with houseplants. Bring in flowers or herbs to stimulate the senses. Create a comfortable viewing area, with feeders, so you can enjoy watching birds and squirrels. Gather potting soil, water, and green bean seeds. Spoon the soil into small pots or into an empty egg carton. 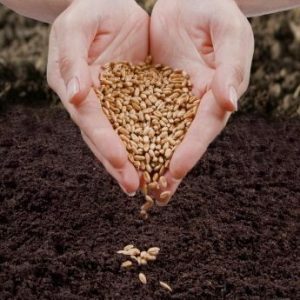 Place one seed in each and cover with soil, then pour in a little water. “Touching soil and planting may trigger memories and ideas from earlier years,” Garuth says. Gathering flowers, walking a tree-lined sidewalk, plucking a cherry tomato off its vine, watering a house plant, gazing out the window at chickadees — these meaningful natural activities increase pleasure, relaxation, social interactions, and sensory stimulation.